Being the latest development of SMOK brand, the Veneno mod and the TFV8 Big Baby Light tank in pair create an outstanding SMOK Veneno Kit. Decorated with 7 various LED lights at front and back, it will shine your daily vaping experience. 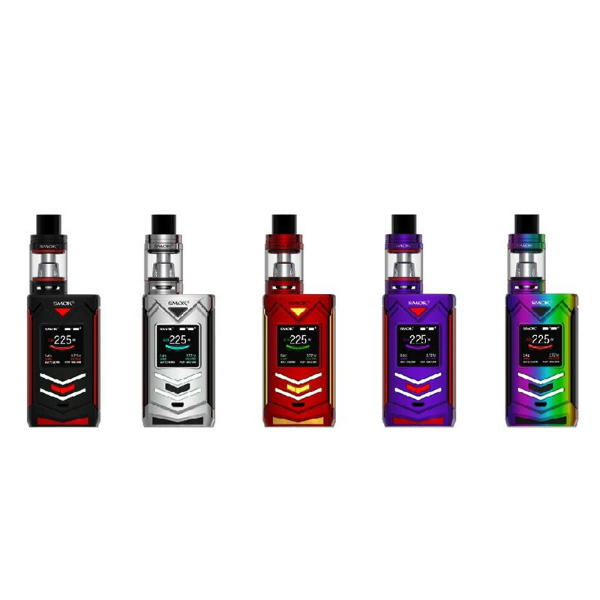 Being the latest development of SMOK brand, the Veneno mod and the TFV8 Big Baby Light tank in pair create an outstanding SMOK Veneno Kit. Decorated with 7 various LED lights at front and back, it will shine your daily vaping experience. With 225W max power output, this device will satisfy your demands. 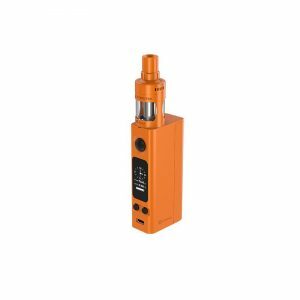 It gets power from dual 18650 batteries and offers 3 modes for vapers. VW mode, TC mode (Ti, Ni, SS) and Memory mode. Besides, the firmware is upgradeable. Also, the Veneno features a high-definition OLED screen. For your convenience, a clear screen shows detailed vaping data. 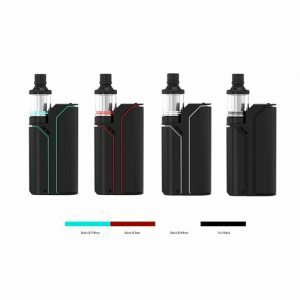 The TFV8 Big Baby Light tank is capable of holding 5ml of e-juice. It guarantees convenience while refilling thanks to a top fill method. As well, it features an adjustable bottom dual airflow system for massive clouds production and intense flavor. The delrin drip tip will help vapers to get powerful draw effects. 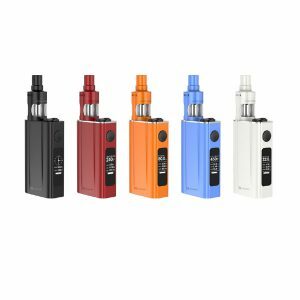 In terms of design, this innovative Smok kit is a piece of exquisite workmanship. Carved lines on the body make it look like an unbreakable supercar. There are 2 LED lights in a shape of an arrow on the front panel and 5 – on the back. They can change 12 colors providing the Veneno an incredibly stylish and shining look. In addition, Smok brand also thinks about ergonomics. That is why Veneno vape mod kit has a lateral big fire key, which is highly ergonomic. In general, the kit is pleasant to hold in hands. All in all, classy looking, ergonomic and powerful Veneno kit by Smok will bring your vaping experience to the next level!